Kirkville - Is the Apple Watch the New iPhone? In last week’s presentation of new products, Apple covered only two items, the Apple Watch and the iPhone. And they led with the Apple Watch, which meant they were prioritizing the iPhone; save the best for last. But the opinions of many tech journalists, and, apparently, consumers, suggest that the Apple Watch is the new, hot gadget. Many journalists have pointed out that there are no real innovations in this year’s iPhones. This is, of course, an “s” year, that Apple has gotten us used to; years when iPhone models add an “s” to their names, and feature only incremental updates. (However, some key technologies have been introduced in “s” years.) The iPhone XS and XS Max are extensions of last year’s iPhone X, and the iPhone XR is a “budget” version of the more expensive model. But the Apple Watch caught the attention of many people. Apparently, pre-orders have been “above expectations,” while iPhone sales are tepid. One reason may be the new, large size of the Apple Watch, converting what has been a fairly small display to one that will be much more readable. And there’s the glitzy new Infograph watch face with multiple complications. And the stainless steel model now comes in gold. Some are suggesting that the addition of an ECG feature may be swaying consumers, but I find that unlikely; while this is a useful medical tool, it’s hard to imagine that everyone wants to run ECGs on themselves (and I worry about what happens when people try to understand them). Fall detection is a very interesting feature, and, while it’s mostly for the elderly, there are other cases when it can be useful: epilepsy, perhaps car accidents, and more. It could be that consumers are seeing the potential of a wearable as a medical device, and that these limited features have convinced them to invest in one, in part because of existing technologies, but also because of the potential of the Apple Watch to change the way they look at their health with other technologies in the future. Apple knows this, and will be pushing much of its innovation to the Apple Watch in the coming years. The company has already drastically increased the price of the device, in order to turn it into a cash cow, and there’s one big change they can make that could increase sales exponentially: make it a standalone device. The Apple Watch still requires an iPhone to set it up, but there’s no reason why it couldn’t exist on its own, so Android users can have Apple Watches too. While this wouldn’t offer full functionality, since there wouldn’t be the same tight integration with apps, notifications, etc. – an app on Android could manage the actual setup, and everything would function over cellular access, and all data could be stored in the cloud. The Apple Watch can already work without the iPhone after the initial setup, using cellular access, but it’s only a question of time before Apple makes it an independent device. 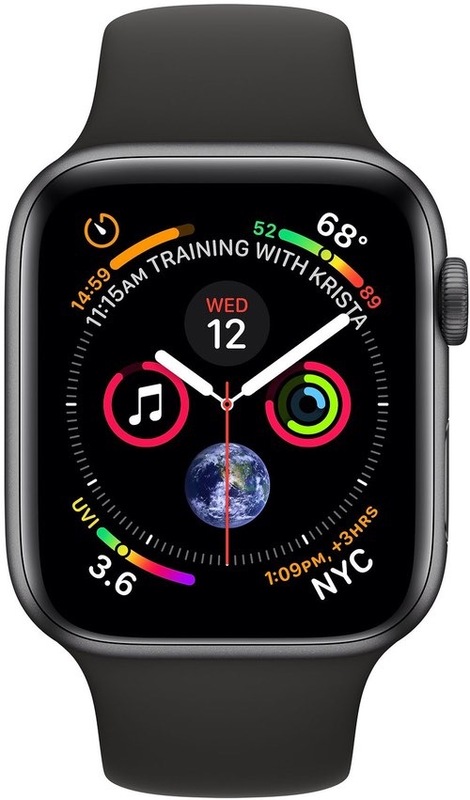 Of course, this is only a temporary solution; there are so many limits to the Apple Watch that it will never be able to do too much, but Apple’s focusing on health (they barely mentioned fitness in presenting this new model) shows how they want to make this device essential. The iPhone will continue to sell by the tens of millions, but as sales become flat, Apple is poised to have another success on its hands with the Apple Watch. It will be interesting to see how far this device goes. I think you’re underestimating the importance of the EKG. In the US, 2.7-6.7 million people have AFib, including 2% of the under-65s. There are about 130,000 deaths a year. Sometimes there are no symptoms at all so many people have no idea that they’re at risk. Even if there are symptoms, they can be fleeting (a few seconds or minutes), thus hard to impossible to catch at the doctor’s office. In the US especially, with our stupidly poor health care system, many people don’t have insurance that will cover a ‘speculative’ cardiologist visit and the assorted diagnostics that ensue from that even they do have symptoms. The hazard of not diagnosing it is blood clots and stroke, which can be catastrophic, but AFib can often be controlled with medications–if you know you need them. Being able to catch something that troublesome in the act and have real data to show a doctor is indeed a big deal, both to get treatment and to get mediocre insurance to pay for it. Most people I know fear a stroke more than they fear a heart attack. There will be people who don’t understand the results and needlessly rush in a panic to their doctors, but the EKG seems less likely to be a problem than the probable false alarms from the fall detector calling emergency services automatically. I totally agree with what you said, but this is a small percentage of the population. The risk of false positives is real. It is great that this may help diagnose this serious condition, but I don’t think that many people are buying it just for that. If someone panics about their ECG they will go to a doctor, who will order another ECG, at whatever ridiculous cost it is billed in the US, and in many if not most cases, there will be nothing wrong. The Apple Watch becomes interesting if it is able to diagnose, say, a dozen such conditions; for a single condition, it is a bit too limited. And I’m not sure there are many conditions that can be diagnosed by a watch. The post below includes a link to a one-lead EKG reading with (top) and without AFib. The differences in this particular example are so major that I’d have no trouble seeing that there is a problem, but I grew up with graphs and numbers and realize that the average person may not see the differences as easily, or bother to look up what ‘normal’ looks like to compare. But any half-way decent GP should know what to look for, and should handle a referral or not accordingly. False positives at the user end will certainly trigger more doctor visits, but until we know what the false positive rate actually is and how people react on average, it’s too soon to speculate that it’s a bad thing. Most official diagnostic tests have false positive rates (some as high as 12%) that can trigger a huge kerfuffle of unneeded biopsies, multiple MRIs with different contrast agents, etc.. False positives are preferred to false negatives (for both good and bad reasons). Formal testing for AFib usually starts out by strapping a little EKG near the heart for a few days, or maybe an echocardiogram (doppler ultrasound) which are ‘cheap’ and non-intrusive in comparison. While the FDA Clearance isn’t nearly as high a standard as Approval, it does mean that there’s been sufficient testing and that’s it’s been showing reliable enough results that Apple is allowed to show the results directly to the user, instead of sending them to some service as intermediary. Probably not a huge hurdle, but not a rubber stamp either. As to the number of people affected, I gave the 2% of under-65s, but it’s 9% of over-65s. The number of deaths per year in the US is almost three times the number of colon cancer deaths, and AFib is much more easily treatable. A quick search hasn’t turned up how many non-fatal but debilitating AFib strokes occur each year, but there are bound to be a bunch and the expense of that can be tremendously high. I think the fall detector is going to put a bigger strain on the system than the EKG because it triggers emergency services which are often overloaded anyway (and often hugely expensive for the un or under insured). One minute is too short a time period in many use cases, even for the elderly if no dementia is involved, to determine if you should cancel the SOS and finish a self test for back injury first, or just let the call go through. Presumably, if you fall, and you’re conscious, you’ll cancel the call. If you are still in pain, then you can make the call yourself. If there’s a potential back injury, it’s possible to do a self test, basically working from fingers and toes to the core for feeling, then using isometric muscle movements to make sure that the main nerves are still talking to the brain. Then you slowly and gradually start moving the limbs. Even not counting being stunned for a bit first, this can take a few minutes without its being an emergency, just prudence. An option for a 5 or 10 minute wait would cut down on unnecessary calls while still being able to use the feature.